School is a starting point for the future. Staying organized in school is one of the smartest things a student can do. By getting good grades and a good education, a student will have a greater chance of getting an exceptional job in the future. The Excel Class Schedule template can aid in this process. 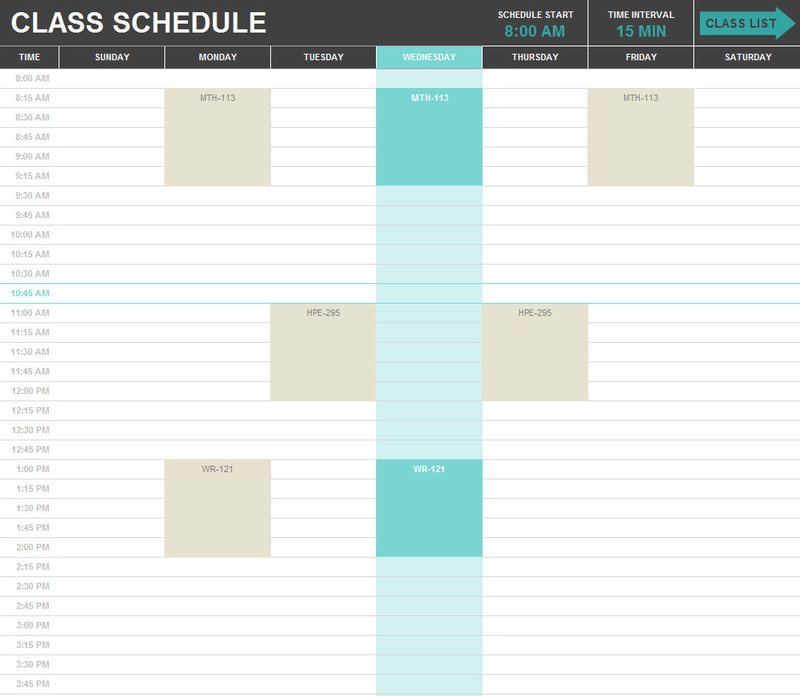 This schedule template is very powerful and has many different customizable aspects. There are many areas that deal mainly with time settings that a student can personalize. A daily start time can be set by the user in hourly increments which can be changed at any time. Another setting involves time interval, which divides the template into the selected amount of minutes and allows for more detailed use for the student. On the secondary worksheet entitled Class List, the student fills in the table with class names, days, locations, and times. The main worksheet will integrate these properties automatically and use them in populating the primary schedule worksheet. Keeping these dates and times accurate will help the student succeed in their classes through better time management. This template is courtesy of Microsoft.